Applied mechanics is progressively becoming a subject of significant interest to various science and engineering disciplines, with growing research overlap in mechanical engineering, materials science, aerospace engineering, etc. Thus, in World Scientific's latest book edited by Professor Liu Zishun, Frontiers of Applied Mechanics, more than 60 of the world's leading researchers and academics in applied mechanics from more than 33 top institutions in China, Singapore, Australia and Hong Kong cover the classical branches in applied mechanics such as solid mechanics, fluid mechanics, thermodynamics, and material science. 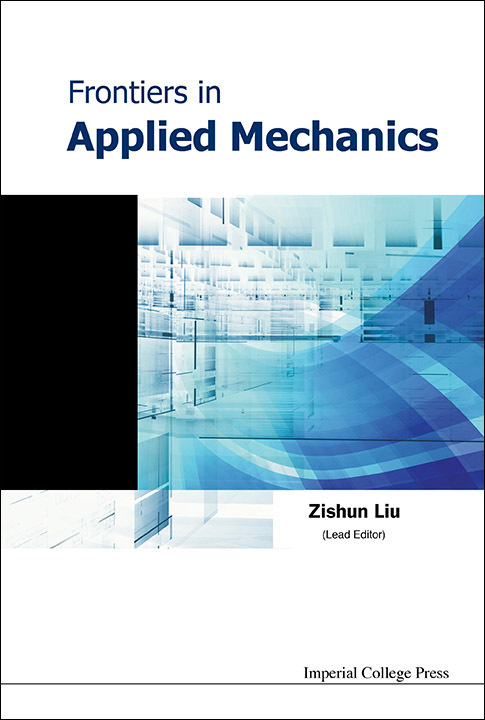 The research of applied mechanics also includes topics from newly emerging fields such as nanomechanics, biomechanics, electromechanics, the mechanical behavior of advanced materials, mechanics of soft materials and many other inter-disciplinary research areas in which the concepts of applied mechanics are extensively applied and developed. The most significant aspect of present study is that the current and emerging hot research topics in applied mechanics are highlighted and concisely discussed, and readers will be able to grasp from this work these emerging hot topics and the corresponding advances in applied mechanics.